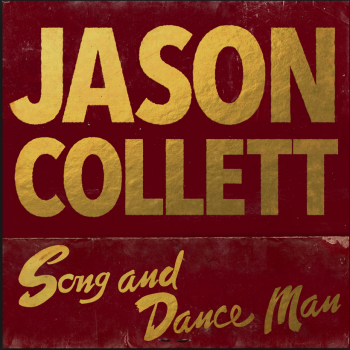 Jason Collett released his newest album on February 5th of this year. The album is his first since 2012 and is long overdue. Jason Collett is a singer from Toronto from the Broken Social Scene, an indie rock band formed in 1999. His music is classified as alternative but for some reason I see it more as indie -which makes sense because of the style of music he played while previously in the band. He has a really soothing voice and his album is great for when you want something with a little less noise. You can see that he has changed since his older work but has managed to keep his signature style. The new work is a lot calmer and less eclectic than his older stuff, showing how he’s changed. His older albums have a sound very similar to a lot of other artists out there and the Song and Dance Man shows a lot more of his own style and uniqueness. The album is very well laid out and the track order makes it into a whole story that transitions well throughout. The sound is very relaxed and mellow. All the songs on the album go together really well but are different enough to be sure to stand apart. The album starts off with the track Provincial Blues. This track has an amazing backbeat (where the second and fourth notes are stressed in each bar) that is really unique to this kind of song. The instrumental goes really well with his lyrics and voice and isn’t too overwhelming which can happen easily to singers if they’re not careful. His voice goes really well with the music and it showcases his talents in a really great way. Song and Dance Man appears as the second track and is probably one of the most upbeat songs on the album, along with track eight, Love you babe. Both are really great songs and fun to listen to. As most of the album consists of really mellow tracks, these two were needed to bring in a more upbeat vibe. The last track on the album is Staring at the Sun, and is definitely my favourite. It’s really mellow but somehow upbeat at the same time. I like the track because there isn’t too much too it but there is at the same time -if that makes any sense. Its got a great style to it that makes it into the perfect ending to the album. Overall this album is really great and definitely worth the time to sit down and listen to. I also highly recommend checking out his other albums if you like this one, as they are really great as well and have some amazing songs on them.